February 2, 2019 by Robert Ortiz-Abreu, Jr. 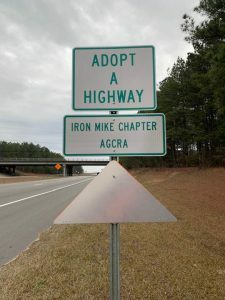 In January 2019, the AGCRA Iron Mike Chapter members volunteered their time to pick up trash along the All-American Expressway in Fayetteville, NC. See the details and photos at the following Facebook post.